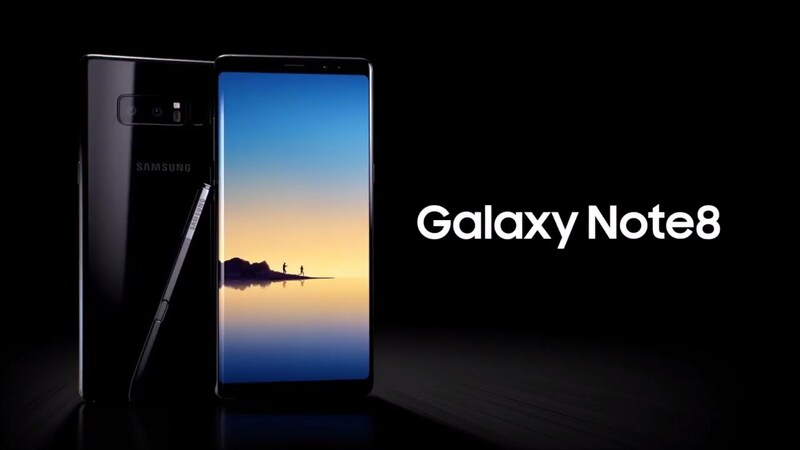 “Kaboom!” That was the Note 7 from last year, thankfully no crackers this time from Samsung who’ve come out all guns blazing with their brand new Note device, the Note 8. Following the design language from the S8 & S8+, the Note is now sleeker & touting to be the giant killer in the smartphone market. Read below to find out why I think it’s the best phone in the world right now! The infinity display from the S8 is now on the Note 8 as well, making the phone almost bezel-less.The added height makes it a massive 6.3” screen and if you’ve got small hands you’re in trouble homie! The phone looks a bit more rectangular than the S8 which had a lot more curves at the edges, making it a better “infinity display” phone in my view. Don't forget to change the display resolution from default 1080p to QHD+ if you seek to attain Visual Nirvana in 6.3”. Considering the screen size though, It’s a task reaching for the fingerprint sensor at the back or pulling down the notification screen if you’re holding the phone at the bottom (like most people do). In terms of the design, the 3.5mm jack still maintains its place at the bottom next to a Type-C charging port and speaker grill with the S-pen tucked in neatly in the right bottom corner. Volume rockers and Power buttons on the right will the dedicated Bixby button (now a bit more useful) on the left. The dual 12MP cameras at the back have the fingerprint sensor right next to it (ya, it’s still at the wrong place!) which does stand out a bit this time so you don’t smudge the lenses, unlike the S8 or S8+. The hybrid Dual-SIM slot is at the top that supports a microSD card up to 256GB. No home button here, so the unlocking can be done via the fingerprint sensor, iris scanner or facial recognition. Under the hood is the Snapdragon 835 (USA only) or Exynos 8895 with 6GB of RAM and 64GB storage. The Note 8 is also IP68 certified which means dust protection and waterproof for 30 mins up to 1.5M in water. Overall it’s still a heavy device just shy of 200g including a 3g S-Pen. The Note 8 runs on Android 7.1 with Samsung Experience v8.5 on top. Almost all features are similar to the S8 with the exception of S-Pen add-ons. Swiping on the right on the home screen takes you to Bixby while the Edge panel gives you shortcuts to apps, contacts etc. The default shortcuts that pop-up on the screen when you remove the S-Pen are Create a Note, Bixby Vision, Magnify, Live messages (to add effects and animation to pen strokes and can be shared). There’s also a Translate button now that can translate text in any language and show the result as a pop-up once the S-Pen is hovered over it. Screen off Memo is now 100 pages (for times when you feel you want to write a book?) which can be used when you whip out the S-Pen in case the device is locked. An interesting feature is App Pairing where 2 apps can be paired together and saved on the home screen, the next time it’s clicked both apps open up in multi-window! Dual Messenger now lets you create 2 accounts of the same app like FB or Whatsapp so you don’t have to change phones for your private and business profile (Something we’ve already seen with other manufacturers like Huawei & Xiaomi). Overall the phone can handle anything you throw at it, zero lags! The front 8MP camera can click the best Selfies you’ve ever taken putting some decent phones rear cameras to shame! The dual 12MP camera setup at the back does a much better job than the Pixel XL and should be theoretically over 90 in the DXOmark test. My favorite part of the camera setup is the Live Focus modes’ ability to dual capture simultaneously, taking a photo from both the wide and telephoto lens with only a single press of the shutter button, saving you the hassle of switching back and forth between lenses when you want to capture two focal lengths of the same subject. Image quality is mind-boggling and at this rate, the DSLRs will be antique pretty soon. Video recording maxes out at 4K @ 30fps, and there are other options like 1080p at 60fps and 720p at 240fps. It still might feel hard done by the iPhone 8 / Xs ability to capture lighting based images and portrait shots. Colors are vivid and almost blinding when you see 4K videos, never seen that crisp display on any phone screen ever (This is like a 4K tv in your hands)! No doubt then, Netflix officially supports Note 8 for HDR10 playback (woohoo! ). Audio is one area where Samsung lacks and even the AKG earphones bundled in can’t match what the LGs and HTCs of the world deliver in Audio capabilities. The audio is still good no doubt but with just one speaker grill, it can easily get muffled by your hand when held in landscape mode. Gaming wise again, no complaints except for some heat dissipation when playing Asphalt Extreme for 15 mins. The Game Mode does a good job at adjusting screen resolution but has to be done manually. At 3300 mAh the battery does last almost a day i.e over 15 hours in moderate usage and around 12 hours in heavy usage. Wireless and fast charging are supported that can take the phone up to 80% in an hour. The Note 8 surprisingly is almost level in terms of pricing as compared to the S8+ which makes it a no-brainer. If the battery was a bit stronger, this was the phone to own without a doubt! But consider the fact that the LG V30, Pixel XL 2, iPhone X are all coming almost in a month's time, the competition is cutthroat for the top spot. Unless you’re a Samsung loyalist, wait it out and then splurge! This Phone is definitely a step ahead of the competition!